Glenn Marcucio, Clair, JoAnn, Allen and Anna Belle Smith, Mark Bomba, Greg Colbert, Mike Kamm, Jodi Smits Anderson, Jim McGlynn, Aaron Miller, Christopher Cossey, John Razzano, Ann Zownir, Dave Tagliaferro , Gerhard Schlueter. Take part in National Plug-In Day at Guptill's Arena on the Latham/Cohoes border. 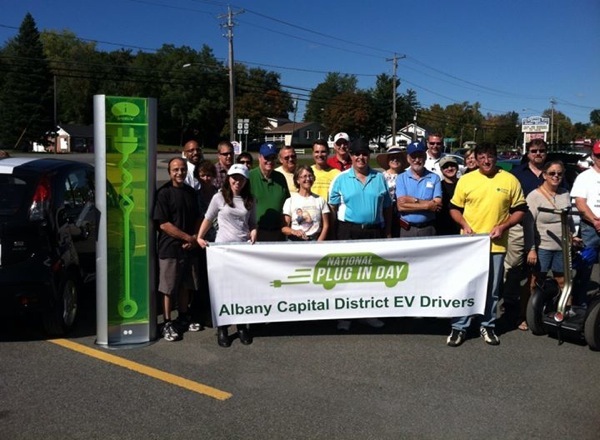 The Albany Capital District EV Driver's Group will be welcoming electric vehicle drivers and enthusiasts as part of their first annual National Plug-In Day. If you are curious about EVs, this event is your chance to not only ask questions to existing EV owners and see their personal cars, but also to test drive several different EVs back to back for comparison. The Guptill's Arena facility has a huge fully paved lot that hosts car shows of over 500 vehicles, so space is not a problem. The famous Coney Express Ice cream stand will be open. Hot dogs are available, with more food items available in the Arena. There will be EV car music playing all day, including "Electric Slide" dancing if you'd like! "Mini EV" [Radio Controlled] model car and truck races on site too! Roller Skating: Guptill's roller rink is the largest in the US. It's open Noon to 4:30 PM. Those are the bathroom hours as well. 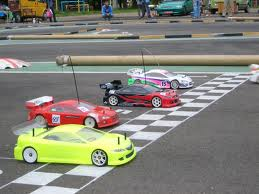 Kids: bring your electric Radio Controlled models to race on a specially designed course.